Few procedures have the ability to transform the face as effectively as rhinoplasty, also called a nose job. It is one of the most popular cosmetic procedures in the United States, but it is also among the greatest challenges for aesthetic surgeons, requiring an experienced hand to achieve the best possible results. There are a variety of reasons patients pursue a rhinoplasty in Charlotte, NC, with Dr. Adam Augenstein, but most commonly they want to address a nose that is asymmetrical; a nose that feels disproportionately large or small in relation to the rest of the face; a nose with humps or depressions at the bridge; a nose tip that is either enlarged, hooked, or drooping; or to correct a deviated septum. Whatever the imperfection, a rhinoplasty can transform the nose. The ideal patient is old enough that their nose is done growing, which typically occurs in the teenage years for women and around the age of 18 in men, depending on the individual. The patient should be in good health, both mentally and physically, with realistic expectations of what a nose job can and cannot accomplish. While many patients are thrilled with the results of their procedure, a successful nose job depends largely on the patient’s ability to communicate their desired result to the doctor. Good communication between doctor and patient is vital for any procedure, but especially for a rhinoplasty. Photographs are an excellent tool to help patients visualize and share their vision of what they are looking for. The first phase of any cosmetic procedure is the consultation, when the patient can meet with Dr. Augenstein to discuss goals and concerns. He discusses various treatment options to address these concerns and works with the patient to develop the best plan. Once a rhinoplasty is decided on, the surgery is scheduled. The length of a rhinoplasty procedure varies depending on the extent of the modification. However, a typical surgery lasts around two to three hours. The entire procedure is performed under general anesthesia, ensuring that patients are both asleep and comfortable for the duration of the surgery. There are several different techniques the surgeon might use depending on what the patient wants to achieve. An open technique involves utilizing an incision between the nostrils at the base of the nose, and a closed technique involves placing the incision at the lining of the nostrils. The surgeon can then rearrange cartilage and, possibly, reshape bones in an effort to alter the nose. Septoplasty can also be performed at the time of rhinoplasty, if necessary. During the consultation phase, the doctor will discuss the various methods and, specifically, the best technique to help each patient achieve their desired shape and size. After the rhinoplasty, the nose is placed in a splint and the patient is provided with aftercare instructions. Patients must have a friend or family member present to drive them home following their procedure. 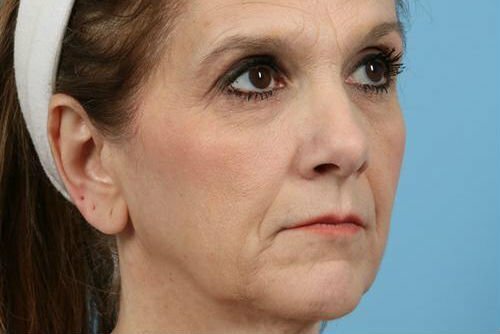 Note that a nose job is frequently combined with chin augmentation for facial balance. After surgery, Dr. Augenstein will provide a detailed list of aftercare instructions. For the first couple of days, the patient will need to wear a nasal splint while the nose is recovering. Many patients experience swelling and bruising around the eyes, although these diminish rapidly. As the swelling diminishes and once the splint is removed, patients will have an opportunity to see the transformation from their rhinoplasty. However, it may take several months before the nose is fully healed and the final results are visible. Patients are encouraged to avoid smoking in the months leading up to and following the procedure as smoking interferes with the healing process. Strenuous activity, including exercise, should be avoided for several weeks after surgery. Rhinoplasty is a relatively common and safe cosmetic procedure. However, it is a surgical procedure and potential risks include infection, bleeding, and an adverse response to anesthetic. The best way to minimize these risks is to select an experienced, board-certified plastic surgeon and to follow the doctor’s aftercare instructions. When it comes to rhinoplasty, cost can vary somewhat significantly from procedure to procedure. The most significant factors include the extent of the surgery. 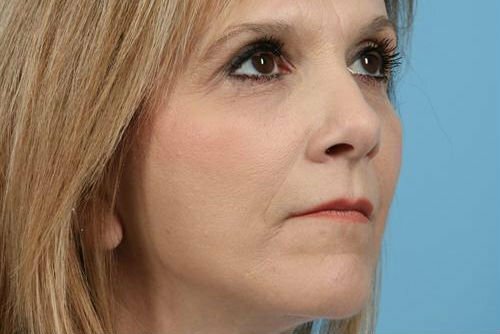 A small modification like a tip refinement is less expensive than a lengthier nose job procedure involving cartilage grafting or a revision rhinoplasty. Insurance won’t cover any cosmetic procedure, but patients pursuing a rhinoplasty to correct a breathing dysfunction should contact their insurance provider to determine what, if any, percentage of the costs the insurer is willing to cover. Following the consultation, we will provide an estimate for the full cost of treatment so that patients know what to expect during and after the procedure.